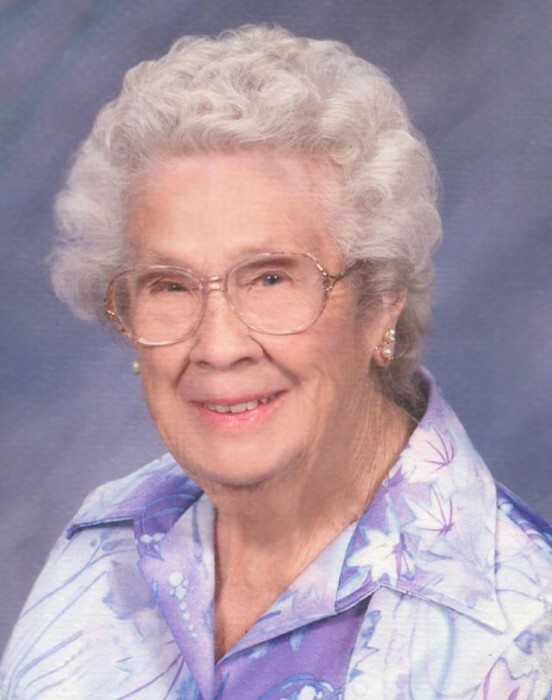 SUTTON _ A lifelong resident of Sutton, M. Marthena King passed away at the age of 98 on September 7 in St Camillus Health Center, Whitinsville. She leaves her daughter Cynthia E. Vanderlinden, (husband Robert) her son T. A. King (wife Cindy) all of Sutton. Her grandchildren Danielle M. Ferreira (husband David) of Sutton, Laura E. King of Portland Maine, Kathleen A. King of Boston, Britney B. Reilly (husband Jon) of San Francisco, California. Joshua P. King (fiance Shannon D’Alessio) of Pennsylvania and Jairus P. King of Sutton. Her great grandchildren Lindsey E. and Ryan D. Ferreira of Sutton and Morrison Phoenix Reilly of San Francisco, California. Marthena also leaves her brother The Reverend David S. King of Boston. Marthena was the daughter of Arthur E. and Eunice Perry King. She was predeceased by her brother A. Perry King, husband Edward S. King of 75 years and son E. Perry King. Marthena was born October 1, 1919. She attended Sutton Public Schools, graduating in the class of 1937. She then started in the first class of Salter Secretarial School in Worcester. Upon completing her course, she was employed by Mrs. Sactor’s Brother an architect in Worcester. Later she worked at Pullman Standard in Worcester, Leon J. Barrett in Grafton, Linder’s Inc. in Worcester and finally DeBoise Auto Body in Worcester as a bookkeeper where she worked into her mid 80’s. Baptized in the First Congregational Church in Sutton, she became a church member and was one of the oldest members at the time of her death. She was a founding member of the church’s “Trinity Class” brought together for young mothers and others to study the bible. In her teens she became a third generation King Family member of the Sutton Grange. She was also a member of the Pomona, State and National Granges. She was the first woman to be the Master of the Sutton Grange. Marthena was the oldest living member of the Adah Chapter of the Eastern Star in Millbury. If you knew Marthena you knew she had a love for animals especially Cows which were predominantly displayed in her yard. For years she was a regular bowler, loved playing cards, learned to paint ceramics, never missed playing bingo, sold jewelry in “Home Parties” and in her later years she earned some fame for having what many believe to be the longest continuous “Yard Sale” in Sutton. Marthena would save quarters all year for what we all believe were her happiest times and that was taking her Grandchildren with friends to Orleans, North Truro or Wellfleet to enjoy miniature golf, trampolines, fishing, swimming, going to the movies, bowling and especially going to the Red Barn! That was a busy time for her and she loved it! The King family would like to express their thanks and appreciation to the entire staff at St. Camillus Health Center for the excellent care Marthena received. Also a Special Thank You to Angel and the Baldarelli Family for being such exceptional neighbors and April Kassatly from the First Congregational Church of Sutton. We’d like to thank the Jewish Hospice Health Care of Worcester for helping with Marthena’s transition. Her funeral service will be celebrated at 11:00 a.m. on Friday, September 21st at the First Congregational Church of Sutton, 307 Boston Road in Sutton. Burial will be private. There are no calling hours. In lieu of flowers donations may be made to St. Camillus Health Center, 447 Hill St., Whitinsville, MA 01588.